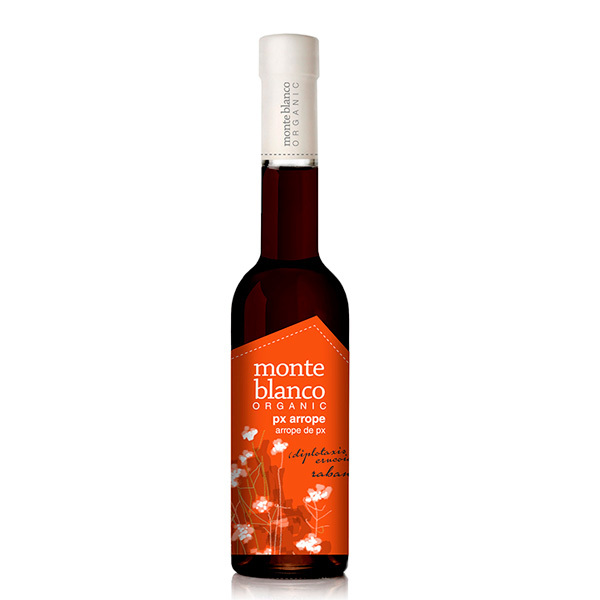 We have elaborated a surprising product, full of taste, and hundred per cent natural, by simply boiling the grape must obtined from Pedro Ximenez raisins. Nothing less and nothing more. However the method in fact is not so easy. We need to lay the grapes on the ground from 8 to 16 days at the sunshine, the to obtain the must and then to boil it out. This remarkable and unique product is gotten thanks to the expertise of decades and to the richness in sugar of the Pedro Ximenez grape. Excellent with ice creams, extra virgin olive oil and toasts, cakes, desserts, in meats, and in lot of dishes where your imagination wish to try.